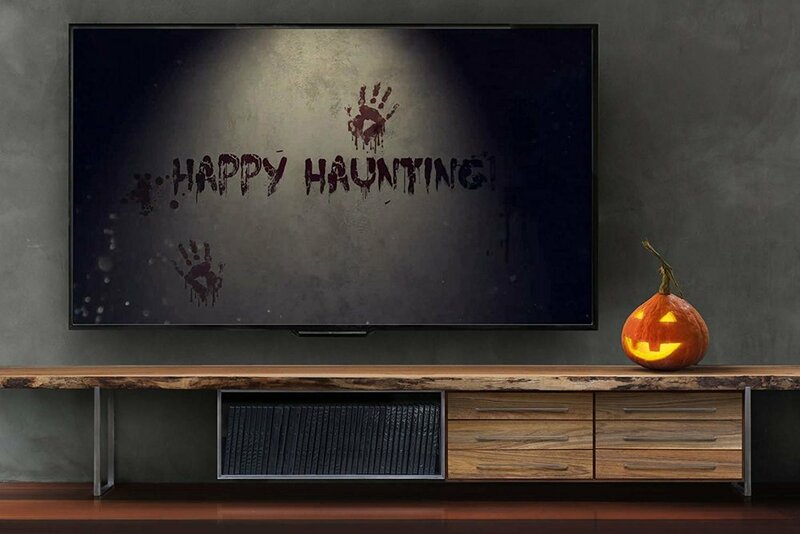 Set the mood at your next HALLOWEEN gathering! This dvd contains 6 scenes which can be looped individually or can be looped all together. 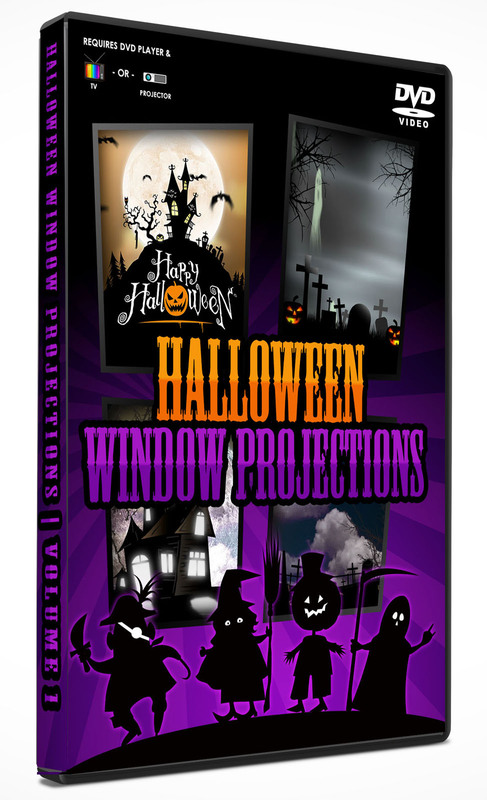 Use on a tv or as a projection on your house, garage or an outdoor movie screen! 1920 X 1080 animations in h.264 format. Import and use in ANY video Editor. 1920 X 1080 animations in h.264 format for use in vertically oriented displays. Import and use in ANY video Editor. 1920 X 1080 footage in h.264 format. Import and use in ANY video Editor. Want to customize our animations for your own project? We got you covered, just purchase the Adobe After Effects templates below and customize as needed. You will need to open these files in Adobe After Effects (compatible back to version CS3 and above). A spooky halloween background of a haunted house with a full moon in the background. A group of creepy bats flocks through the scene with animated timelapse clouds. The scene also features a bird with blinking eyes, flickering windows and pumpkins and a swinging hung corpse. 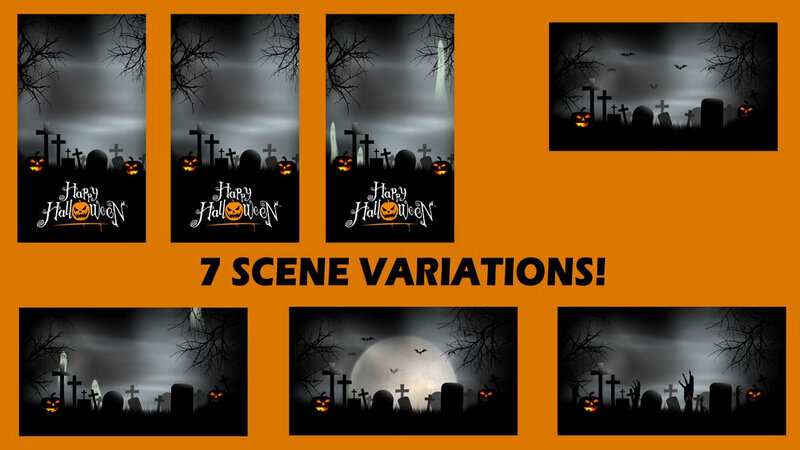 7 spooky scene variations are contained in this halloween graveyard background After Effects Template. Each item is layered and ready for editing, change out logos, colors, add text or re-time the animations to make it your own. In this section, I will show you how to create a DIY screen, an example of use on a tv and how to add a swarm of bats to any video project.